Hip-Hop has come a long way since its supposed golden era during the 1990's. Like with any form of art, or society in general, progression is the cornerstone to a burgeoning future rife with ideas, innovation, and advancement. Those who stagnant soon fade from relevance, with those rectifying the past being neglected entirely. 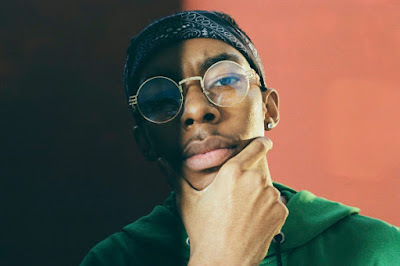 That's been the case with Bishop Nehru, the once-promising emcee who stood toe-to-toe with Joey Bada$$ and A$AP Rocky for New York's new age title. Nehru, heralded by traditionalists as the East Coast Boom Bap reviver, succumbed to expectations when a rare MF DOOM collaboration (in NehruvianDOOM) and a Mass Appeal signing from Nas couldn't bolster his career. The point was made clear; The Hip-Hop community found the classicist boring, especially when such exciting characters were popping up, both in the mainstream and underground, at the same time. His proper debut album, Elevators: Act I & II, promised a grandiose concept with jazzy instrumentation by Kaytranada and MF DOOM to boot. To Nehru, this was "Rap Pet Sounds." Grammy Rap in the mumble age. To the community at large, it's another LP filled with baseless bars and monotonous flows concerning nothing noteworthy in particular. However, it is an improvement over NehruvianDOOM. Part of that can be attributed to Nehru's removal of concise topics, choosing instead to see the bigger picture in ascension and declension. Elevators is divided up as such, tracking the concept of success and failure, something that's seasoned musicians for decades. There are no singular ideas on the level of 'Mean The Most's' trivialized romance and 'So Alone's' belittling take on loneliness. On Elevators, Nehru remains committed to inspiring his listeners, seen on the uplifting 'Up, Up, And Away' ("I saw the negative thoughts that were caught in the bubble / It's usually trouble, but now I let them cover in rubble") or the Jazz-heavy 'Rooftops' ("I'm tryna shoot for the sky like it's rooftops"). Nehru's ideas rarely dive deeper than that as the rapper confines to himself an endless stream of pseudo-enlightened quotes that, at times, sound no better than those from inspirational pictures on Facebook over undisturbed nature scenics. "I continued on my path and my mind as my weapon / I walked through hell, now I'm inventing the heaven" ('No Idea') as example A, "If you ain't showing love then you only showing hate" ('Driftin') example B. Despite the level of skill surrounding him, Bishop Nehru's lack of talent on the mic just can't be masked. The 'likes' become unbearable by the start of the second half, whereas the album's overall concept loses steam once Nehru, as he so often does, discredits highflown prose in favor of straightforward sugarcoating. Elevators improves upon NehruvianDOOM's standards by removing the bad from bad and boring, subjecting listeners to a rapper who's deftly afraid of venturing out of Hip-Hop's hallowed, and wholly antiquated tropes. For the modern era that's brimming with uncompromising creativity, that's not a promising avenue for sustained success.